TIA MEMBERS GIVE YOU MORE! When you choose a TIA member, you are working with a 3PL professional that will clear the road ahead. TIA’s Certified Transportation Broker is the highest broker certification that exists and the most widely recognized distinction in the transportation industry. 96.2% of TIA members have a credit score above 95%. 82.7% of non-members have a credit score above 95%. 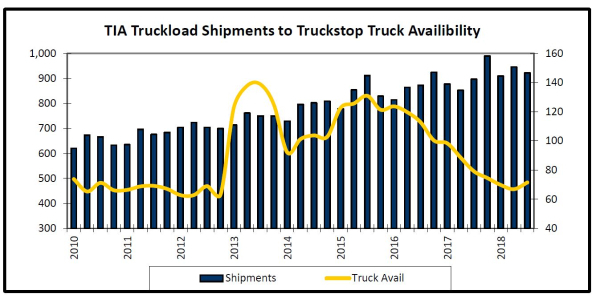 March 25-31: Volumes on the spot market continued to build, but there was still plenty of trucks available, which kept rates in check. 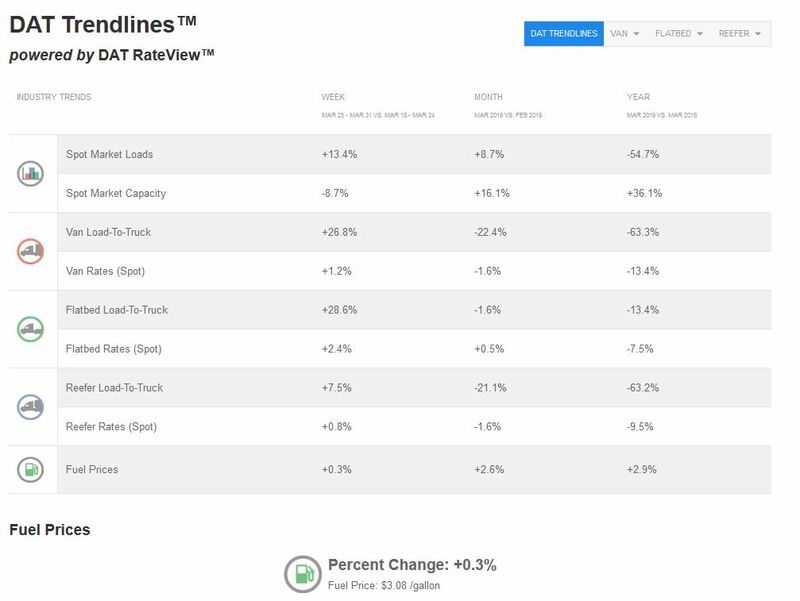 The close of Q1 did bring urgency at the end of the week, pushing load-to-truck ratios higher, but van and reefer rates began to lag behind. The exception was in the flatbed segment, where prices trended up.